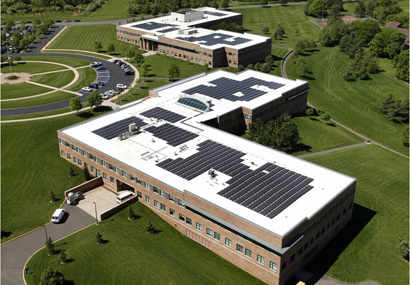 Green Power Systems delivers turnkey rooftop solar installations, solar ground mounted solutions, and solar parking lot installations that significantly reduce the energy costs of large businesses and government agencies. We also offer robust solar services to ensure your solar system will always run at peak performance, delivering the greatest energy output for decades to come. The most powerful solar energy systems go beyond the solar cell and solar panel. 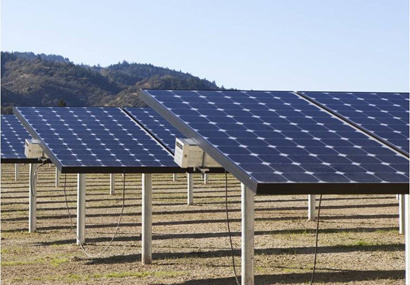 GPS delivers complete commercial solar power systems, designed to optimize overall solar energy output. At every step of a solar project – from site assessment, to design and installation, to operation and maintenance – our goal is to provide systems that deliver the most energy possible. Our experience designing and installing commercial solar projects ensures the highest levels of quality and satisfaction from our customers. Generate the most energy per rooftop with a solar roof tile solutions. Maximize energy output with a round-mounted solar tracking solutions. 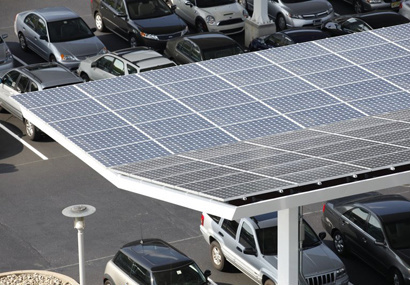 Turn your parking lot into a power plant with the industry’s highest-efficiency solar parking canopies.